Born in Klagenfurt, Carinthia, in 1956, Wolfgang Puschnig moved to Vienna in the mid-1970s to study saxophone and flute at the conservatory. In 1977 he co-founded the Vienna Art Orchestra; he remained with the ensemble until 1989 and became its foremost soloist. During the same period Puschnig embarked on his first independent band projects, e.g. Part of Art, Air Mail, and Pat Brothers. 1985 saw the beginning of his collaboration with Carla Bley, which continues to this day. Puschnig’s debut album, Pieces of a Dream, was released in 1988; shortly afterwards the saxophonist, whose elegiac, expressive intonation and “singing” phrases had already become a trademark, decided to leave the Vienna Art Orchestra and embarked on a successful solo career. He launched a number of internationally renowned band projects, often in collaboration with singer Linda Sharrock, including the ensemble Red Sun realized in with the Korean percussion quartet Samul Nori, the Gemini funk jazz duo with Ornette Coleman’s former bassist Jamaaladeen Tacuma, and Alpine Aspects, an inspired fusion of traditional Austrian brass band music and pure jazz-funk. The latter project was re-launched in 2006; in 2008 Puschnig released the album Homage to O. C., a compilation of arrangements of tunes by Ornette Coleman. 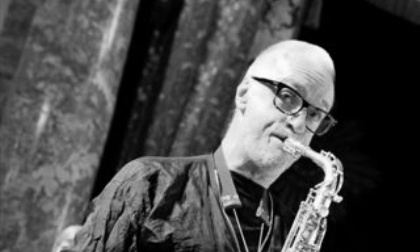 His most notable post-millennium recordings also include Things Change – The 50th Anniversary Box (2006), the album Grey (2001) featuring Steve Swallow, Don Alias and Victor Lewis, and the project Late Night Show (2005), released on two CDs. In this production Puschnig only appears to adopt the trend to cover pop songs (even subjecting Elvis Presley’s Love Me Tender to a re-interpretation), while first and foremost celebrating the art of decelerated yet suspense-packed grooves. Wolfgang Puschnig is professor and director of the Institute of Popular Music at the University of Music and Performing Arts, Vienna. Jazz|world, province|city, once|now: Borderline experiences with Wolfgang Puschnig! New Sound of Music - featuring the extraordinary mezzosporano Bernarda Fink!